Still recovering from my trip to Rochester/Balloon Manor. Here are some pix and the time lapse video. Ansonia, Connecticut, February, 9, 2015 – Lanna Lee Maheux, resident of Ansonia, will join approximately 74 other balloon artists from around the world to build Balloon Manor 2015: The Amazing Air-Filled Undersea Adventure in Rochester, NY’s historic Sibley Building (228 East Main Street, 14604) atrium, February 23 – 26, 2015. This is the sixth Balloon Manor from Airigami, a studio specializing in “the fine art of folding air,” and directors Larry Moss and Kelly Cheatle estimate that 40,000 balloons will be used to create the five-story sculpture. Last year’s Manor in the Sibley atrium was Airigami’s fifth in Rochester, but its first at a downtown location. The VERY Tall Tale of Jack and his Beanstalk attracted more than 13,000 visitors to the historic Sibley Building. This year’s completed art installation will be on display to the public free of charge from February 27 – March 8, when it will be deflated during a Popping Party. 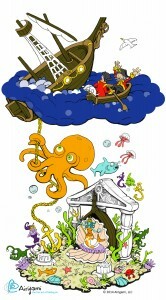 More information is available at balloonmanor.com. More about Airigami: Rochester artists and Airigami partners Larry Moss and Kelly Cheatle are world renowned for their incredible full-blown installations, whether it’s a giant Acrocanthosaurus for the Virginia Museum of Natural History, the world’s first piloted balloon sculpture (Fantastic Flying Octopus), or one of their many Balloon Manors. Airigami has earned a Guinness World’s Record, along with AP, CNN Headline News, PBS, Wall Street Journal and other international and national news coverage. They’ve also made multiple appearances on The Martha Stewart Show, Good Morning America, theToday show, and at the White House. About Lanna: Lanna Lee Maheux is a podcaster, performer, and award-winning balloon twister who has twisted balloon animals since 1990. Her balloons have been seen in Maxim Magazine; she taught at Twist & Shout 2004, The Best Balloon Twister’s and Entertainer’s Convention. Lanna was featured in the 2007 documentary Twisted: A Balloonamentary. Lanna moved from Maine to Ansonia last August, along with her husband and two cats. Lanna hosts the podcast Lounging with LannaLee (http://lannalee.com/). Media please note: High-resolution images and more about Balloon Manor are available to press at http://www.balloonmanor.com/press, and interviews and photo/footage opportunities can be arranged. Wicked Twisted Has a NEW LOGO! Thanks to my buddy Greg from Brand Royal, Wicked Twisted has a new logo! Check out the header above. And of course, this: Thanks, Greg. My first RAOBA – Gearing up for another! 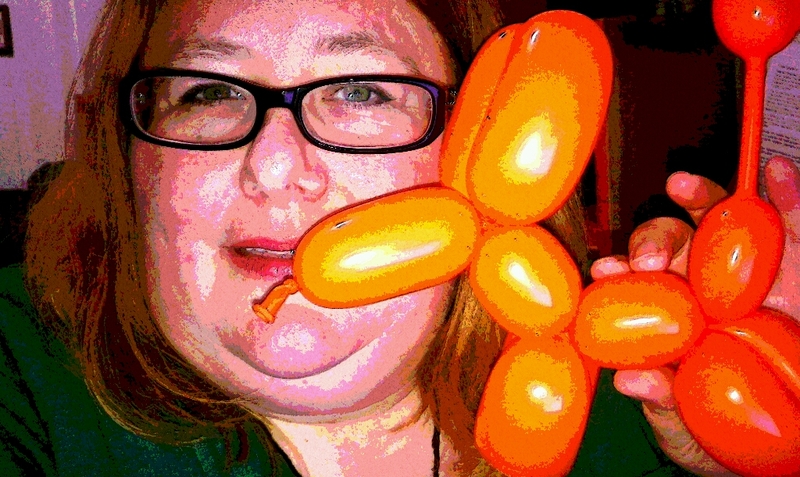 If you’ve linked to this post, you might have seen a piece of balloon art somewhere in public. I hope you enjoyed it! I will be posting more about Random Acts of Balloon Artistry later. Stay tuned! Balloon Art by LannaLee, a set on Flickr. 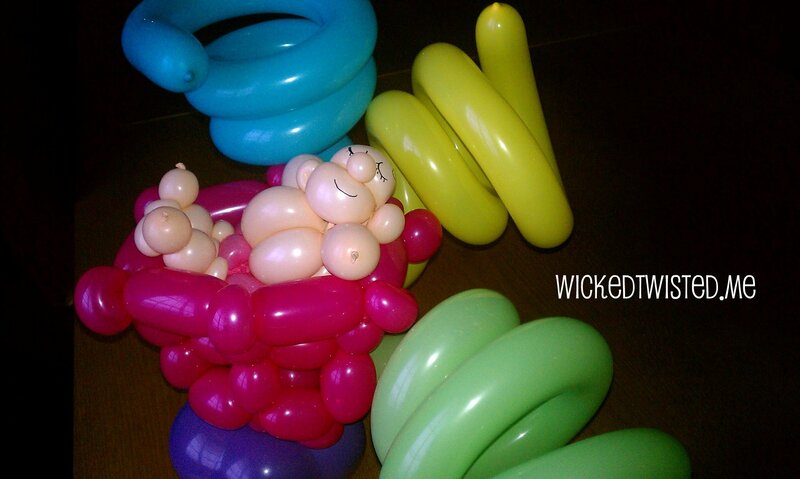 Here is a Flicker Set of some of my balloon creations! How to make a balloon dog. All you need is balloons! And a pump.